On the fall equinox of 1995, the Foundation of the Sacred Stream held its first drum circle. There were only five of us, but we happily settled into the Redwood Room, a room literally made of redwood in an old house in San Francisco, CA. We drummed together, focusing on a journey about the season. 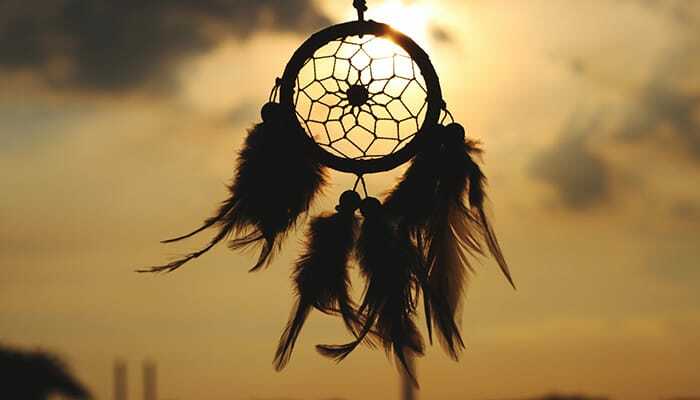 The shamanic journey is a method of going inward to connect with inner guidance that usually takes a form drawn from nature. The sound of a repetitive drum or other instrument helps people alter their focus, enabling them to perceive information coming from within. I didn’t realize it then, but this circle would be the first of many. During every solstice and equinox since then, we have hosted a drum circle to honor our relationship to the seasons. When I look back over the years, I see the hundreds of faces that have passed through these circles. At some circles, we have had more than fifty people in attendance. At others, only a handful. But everyone who comes is looking to connect with the earth and the season in a meaningful way. These circles have evolved over time. One of the main reasons people come is to take part in the healing circle we hold before we journey on a theme related to the season. In the last few years, I have noticed an increase in people looking for a place to share their grief about the impending environmental crisis. I have also noticed people are looking to connect with others to affirm their love and care for the earth. People often attend the circles who do not know how to journey, but everyone can take the opportunity the drumming provides to look inward for guidance in the way that is closest to their own traditions. One of my favorite parts of this quarterly ceremony is the recounting of teachings people receive about the season from their journeys or meditations. Inspiration always comes in response to such questions as, “How do I honor the light within me as well as the light around me?” in summer and, “What is my relationship to the darkness within me?” at the winter solstice. Now, we hold circles in the sanctuary at the Sacred Stream Center in Berkeley, CA, which was a Lutheran church for nearly ninety years. The church was built in the early 1900s by Scandinavian carpenters who were very aware of the movement of the sun. They placed windows in strategic parts of the room. For this reason, the sun moves through the room throughout the day, and at any given hour there is a “sun spot” glowing on one of the mahogany-lined walls of the sanctuary. As the ceremony begins at 6:00 p.m., the sun is often setting through the westernmost window, right into the center of our drum circle. The smallest window is the most interesting. It is an arch over the altar. The arch is on the upper eastern side of the room, and it was designed to catch the trajectory of the rising sun over the course of the year. The sun moves north in winter and south in summer at its rising, and the arched window catches the sun shining through the cross and crown of the stained glass. What better room to hold a ceremony honoring the relationship between the sun and earth? The tradition of honoring the different moments of the dance between the sun and earth has existed since time immemorial in cultures all around the world. People have marked the longest night and shortest day of the winter solstice, the longest day and shortest night of the summer solstice, and the twin equinoxes in fall and spring where the night and day are of equal length around the world. Throughout Britain, there are stone circles that have marked these moments since around 5000 B.C. In Central and South America, the Incas, the Mayans and the Aztecs all kept calendars whose cardinal moments were marked by the solstices and the equinoxes. The astrologers of China have been calculating these moments far into the future and safeguarding the history of their passing since about 2000 B.C. At this writing, it seems twenty-three years of holding drum circles is a long time. I often joke when welcoming people to the circle, saying, “Welcome to the longest-running drum circle in the world!” But when I think about the tens of thousands of ceremonialists who have spent the night of the equinox or the solstice reflecting on their relationship to the sun for thousands of years, I am humbled. I’m honored to be part of this important tradition, and so happy for the moments I share with those who come to the Sacred Stream and sit with me as the sun is setting into the circle and the shadows grow long into the night. LIKE THIS ARTICLE? SIGN UP FOR FREE UPDATES!